Some parents encourage their kids to protect their hearing by using volume-limiting headphones when listening to music or watching videos on smartphones, tablets, and other electronic devices. Do the safety claims for these headphones hold up? 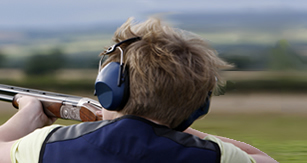 In rural areas, hearing loss caused by the sound of gunfire is a major issue. A study of male hunters found that the longer a person had been a hunter, the more likely he was to have hearing loss. In an interview, the director of the National Institute on Deafness and Other Communication Disorders (NIDCD) addresses concerns about earbuds and hearing loss.